Weddings used to have wedding bread, rather than wedding cake. The groom would cut off of large hunk, take a bite out of it, and then crumble the rest over his bride. The guests would scramble to pick up the crumbs to eat for good luck. 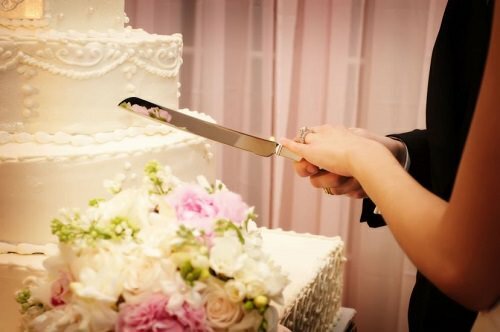 Weddings now replace the bread with cake. Sadly, the crumbling tradition has been left behind these days.